Several subspecies of island fox have shown the fastest recovery of any mammal on the Endangered Species List. For a few years, the island fox, seen above, was a rare find in the wild. 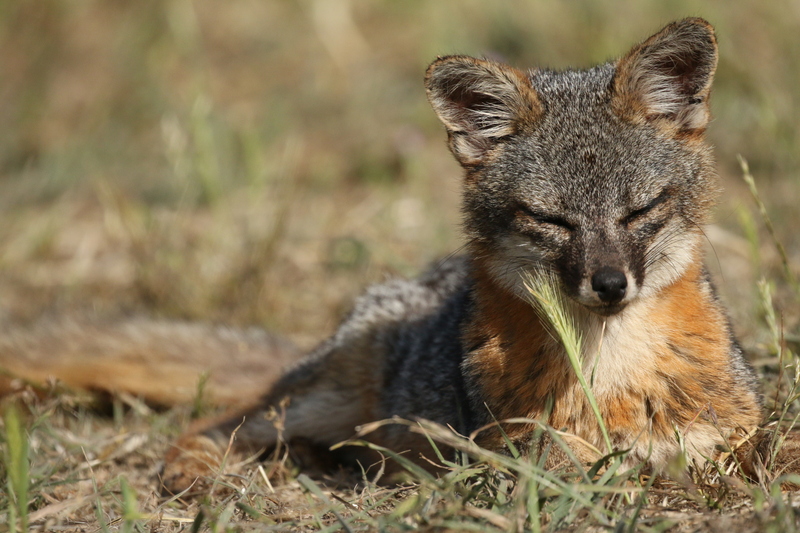 But thanks to speedy conservation efforts, the tiny West Coast relative of the mainland gray fox is on the rebound. In fact, since the Endangered Species Act was first enacted in 1973, the island fox has shown the fastest recovery of any endangered mammal, according to the U.S. Fish and Wildlife Service. The island fox consists of six subspecies, each named for one of the six larger Channel Islands off the California coast on which they live. No one is sure where they speciated, but the foxes have prowled the three northern islands (Santa Cruz, San Miguel, and Santa Rosa) for 6,000 years, according to Christina Boser, an ecologist for The Nature Conservancy, which manages Channel Islands conservation efforts in partnership with the National Parks Service, the U.S. Navy, and the Catalina Island Conservancy. 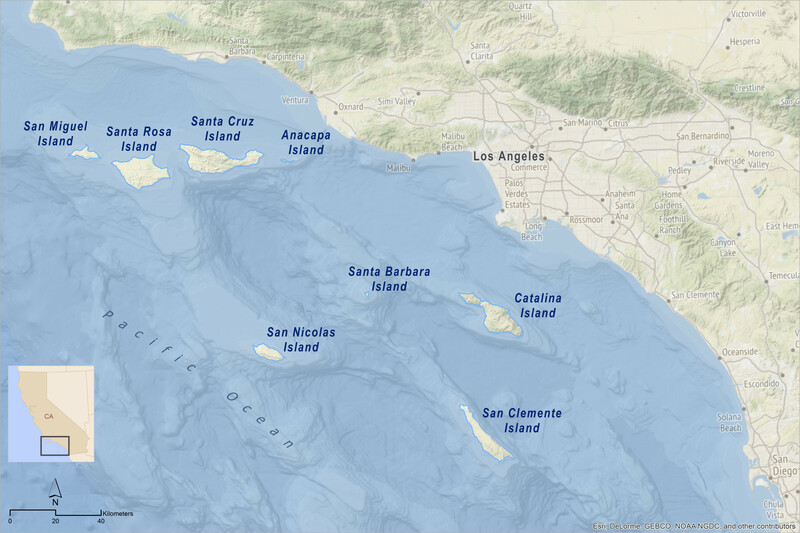 “From there, most likely, native people transported them to some of the other islands down south,” she says, including the popular tourist destination, Santa Catalina Island. 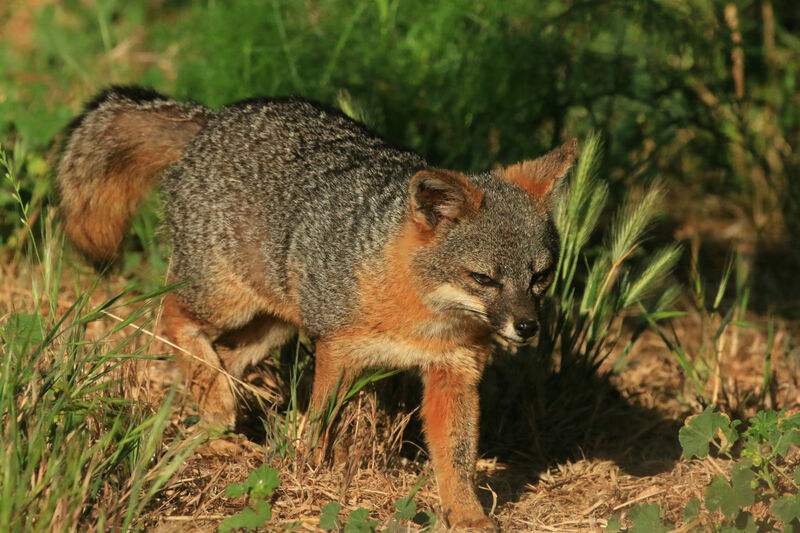 For the most part, the island foxes—each weighs about four pounds and is half the size of your average house cat—have skulked the islands undisturbed, which is probably why they’re so curious and mischievous, says Boser. The Santa Cruz Island foxes, for example, will “play with anything that you give them—they’ll tear apart your sock if you leave it out. We actually have more trouble doing research out there—if you leave research equipment out, they’re probably going to get into it,” Boser says. While it seemed for a while that the wild foxes were free of threats, conservationists became worried in the late 1990s when they estimated that populations on four of the islands had suddenly dropped from several thousand to fewer than 300. At one point, there were as few as 15 on San Miguel Island, according to Steve Henry, field supervisor of the Ventura Fish and Wildlife Office, a field station of the U.S. Fish and Wildlife Service, in California. The Santa Cruz, San Miguel, Santa Rosa, and Santa Catalina subspecies of island fox were eventually placed on the Endangered Species List in 2004. A few factors contributed to the island foxes’ decline. The population on Santa Catalina Island had been exposed to canine distemper, a mainland disease that might have been transmitted by an infected raccoon, according to Henry. The foxes on the northern Channel Islands, however, mostly faced predation by golden eagles. These raptors had proliferated after the resident bald eagle population—which typically doesn’t prey on foxes—had declined, largely due to DDT exposure. The golden eagles were also lured by feral pigs descended from livestock that had been brought to Santa Cruz Island during years past. By the late 1990s, feral animals were ravaging some of the island’s native vegetation. “The entire ecosystem of the islands was out of whack; it was falling apart,” says Henry. A team of conservationists—which included nonprofits, state and federal entities, as well as academics—decided to take quick action. In 1999, they began capturing the golden eagles one by one, and by 2006 had released 32 individuals in Northern California. “We tagged them to make sure that they weren’t coming back and that they were doing okay,” Boser says. They also started reintroducing bald eagles on the northern islands in 2002 to keep the golden eagles from returning. And in 2005, the team began removing the pigs from Santa Cruz, which has helped the vegetation to recover. Today, the population of foxes on the northern islands numbers around 4,000—what Henry estimates is a full recovery. In August, the three northern island subspecies were taken off the Endangered Species List. While the island foxes do seem to be thriving, they’re still considered a conservation-reliant species. The Santa Catalina Island subspecies remains on the Endangered Species List, though it was downlisted to “threatened” last month. Conservationists are continuing to keep a keen eye on mainland diseases that could jeopardize the foxes once again. Since 2006, The Nature Conservancy has annually vaccinated about 150 foxes on Santa Cruz Island against rabies and canine distemper, and has been keeping tabs on that island’s population through tracking collars and annual trapping, according to Boser. A look at the effects of conservation efforts and climate change on bird populations in North America. How Can We Keep the Endangered Vaquita from Vanishing? Researchers are investigating a conservation strategy that would place some vaquitas in preserves in their natural habitat.